Why go to shows and exhibitions? Twenty years ago, companies were using large exhibitions to present their new products. Today, the web outperforms any exhibition in timing and in data quality. In the old days, a catalogue sheet handed out was O.K – today you can download 3D files for any product immediately. Why is it, that there are still exhibitions – and why go there? YES, there are advantages, for the exhibitors and the visitors. I know many customers who say: I can visit all my suppliers within a day or two. I can talk, find solutions, meet with the specialists and solve my problems on the spot. I can even have several solutions from several competitors and compare. Personally, I always calculate how much travel expense I would generate seeing all these customers in such a tight window (even not considering the time to travel throughout Europe, in my case). Americans are always surprised about the number of days such a show is going on in Europe. From my experience I can say: the show is somehow too short when you close at the last day and you find that you have not been able to see for yourself what competition is offering. So during the days I use the customers visiting me as source of information. The “world’s leading trade fair for components, systems, and applications”, the electronica 2010 is just some weeks away and will start on Tuesday, November 9 and end on Friday, November 12. Full four days of customer contacts, appointment juggling, and many many application oriented talks and discussions. 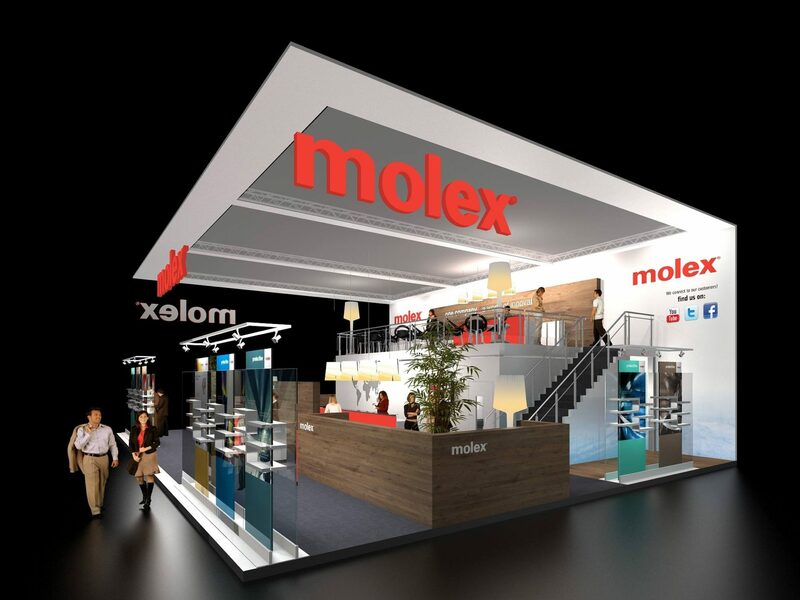 Molex showcases on a 160m² twin level booth (see picture) in hall B4/336, with our large product offering displayed by applications related to markets. … or you may just visit the reception desk and ask for a product or a host. For more details, visit http://www.electronica.de/en/home and www.molex.com to get you motivated for Munich. …unfortunately – when you come to electronica 2010 in November the Oktoberfest is gone. So enjoy the meantime.